All it takes is faith and trust. 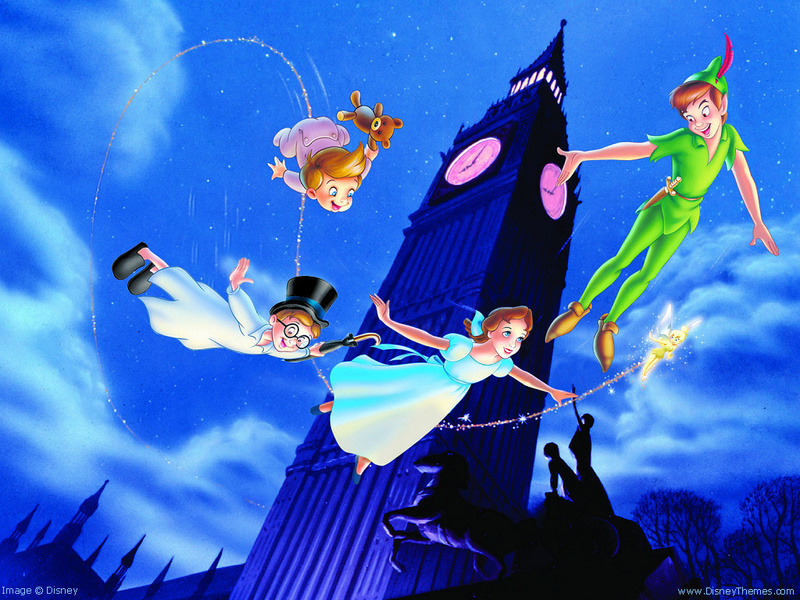 And just a little bit of pixie dust. Three years ago today, August 2nd 2010, I set foot inside a gym and did my first Couch to 5K workout. It hurt. I had a hard time using stairs the next day and my shins did not like me at all. For some reason I went back the next day and then the next. As of July 2013 I have lost 55 pounds, logged over 3,500 miles and completed 8 half marathons, 5 full marathons and many 5K and 10K races. My wife Shari started running a few months after me and she has been equally as successful. 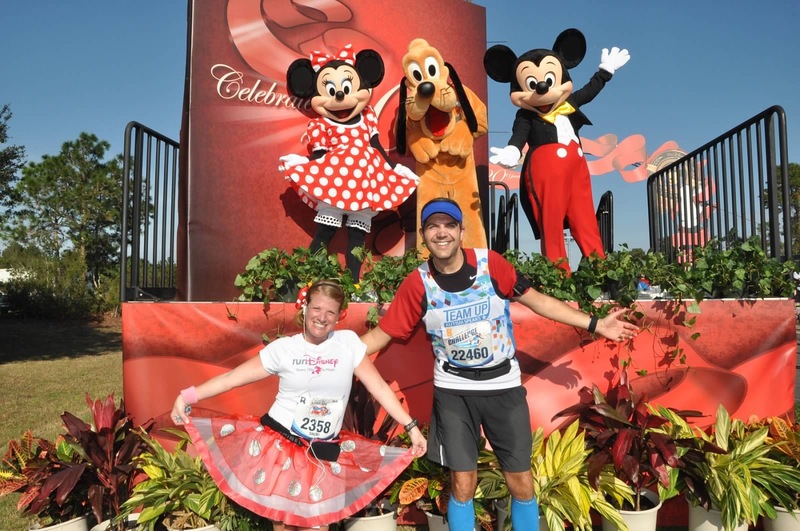 To date we have completed 4 half marathons together and 1 full marathon (Walt Disney World in 2013). For about 6 weeks into my Couch to 5K program I had been working out only on the treadmill. I decided to take my first run outside. I was a little ambitious. I had just purchased a Nike+ Fuelband to start tracking my mileage and decided to take it out for a spin in the park next to where I live. This is where I do all my workouts now but at the time I had maybe walked it once or twice before and I had never attempted to exercise there. I wasn’t ready for running on hills but yet I went back again and again. On New Year’s Day 2011 I said to my wife that I planned that for every mile I ran in 2011 I would put $1 in a jar and see how much I’d save by the end of the year. I said that if she wanted to join in I would also do the same for her. We officially started our ‘Miles for Smiles’ account as an incentive to get out and run. I figured we would treat ourselves at the end of the year as our reward. The ‘Miles for Smiles’ fund I started has paid for all our Walt Disney World/runDisney vacations (‘runcations’) in 2012, 2013 and soon to be 2014. I continued running and upgraded my Nike+ Sportband to a Garmin GPS watch in February 2011 with my birthday gifts (my wife will attest it’s just easier to get me Amazon.com gift vouchers as I am terrible to buy for). Around the same time I discovered Jeff Galloway and his Run/Walk/Run method. I was experiencing some knee pain around this time and I liked his aim for runners to run ‘injury free’. 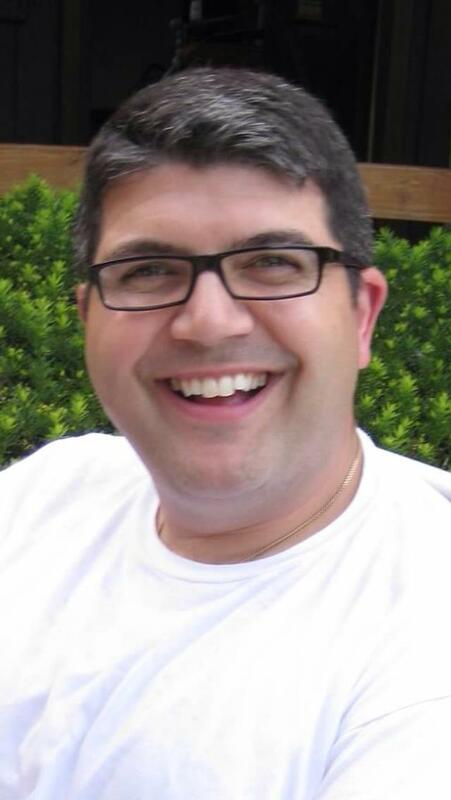 I started using his methods and signed up for my first half marathon (the Bucks County Half Marathon) in April of 2011. I’ve been a Galloway proponent ever since. 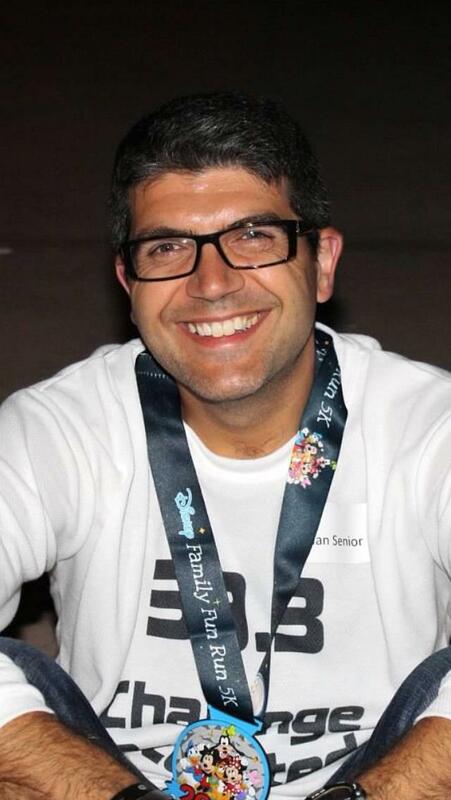 Jeff also happens to be, although I did not know this at the time, the offical training consultant for runDisney. Around the same time I saw that that the Runner’s World Challenge was coming to Philadelphia for the 2011 Marathon. That made up my mind to decide to attempt a marathon. I can tell you that I was shaking after I hit ‘complete’ on the online registration. What had I done? I diligently followed the training program that Runner’s World had provided. During this time I suffered from increased knee pain and ended up at the end of summer at a physical therapist. They took a look at me on a treadmill and a look at the shoes that I was wearing and recommended I get properly fitted. I went to a specialist running store and they analyzed my needs and properly fitted me with shoes (Brooks Adrenaline – I’ve been using this brand and model including the newer versions ever since). I also began to concentrate on my running technique and after 6 weeks of PT I was discharged and feeling comfortable to run again. 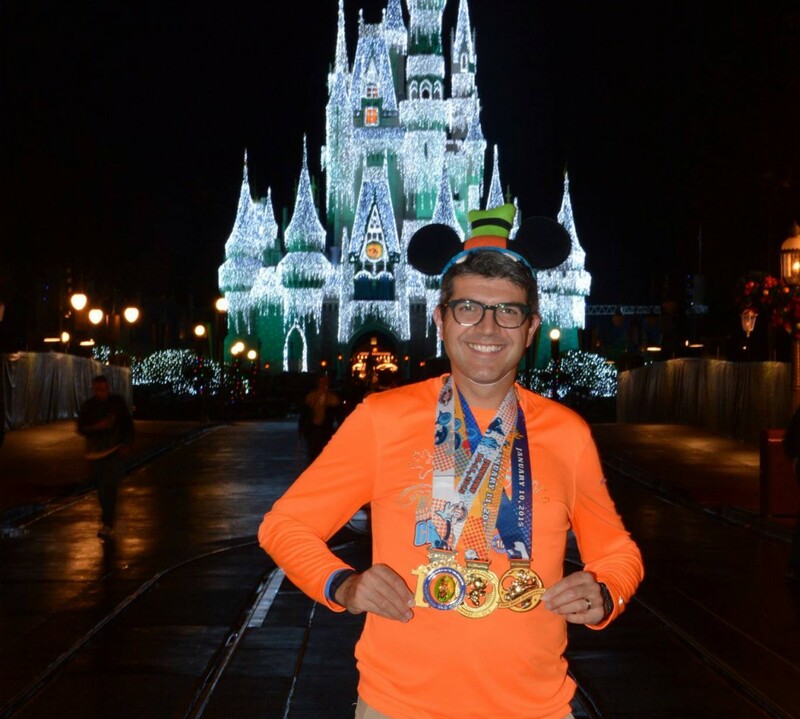 My friend Mike had told me about the ‘Goofy Challenge’ at Walt Disney World and this got me thinking about the Walt Disney World Marathon in 2012. We managed to convince our wives to let us sign up (yes, I signed up for a second marathon before even finishing my first) and we made our plans for our first runDisney event. My wife signed up for her first half marathon at the 2012 Walt Disney World Marathon weekend. Now we were all in it together. About 2 months before my first marathon (September 2011) my parents had planned a trip over from the UK to visit us. They were to spend a week in Florida and then spend a week with us in Philadelphia. A couple of days after they arrived my father suffered a heart attack and I dashed down to Florida on the first flight I could get. I stayed in Florida until my father was discharged from the hospital. He would have to stay in Florida a little longer until he was cleared to fly again but once he was discharged he was over the worst. I was down in Florida in the midst of my marathon training and that came as a relief to me as with all that was going on at the time I couldn’t really sleep much. In fact I got out of bed at 3am, strapped on my headlamp and my water belt and went out for a 12 mile run. That really was the first time I felt that running was a big stress reliever. It was just what I needed. Sitting in the hospital talking about being heart healthy my father said that if I could keep this training up, maybe aim to do a marathon twice a year, I would maintain a level of fitness. I was 39 and had been overweight for much of my life and probably emotional at the time but I promised him I would try. Again, I should point out that I still had not completed my first marathon, I had now signed up for two marathons and committed to my father to run two a year. I hadn’t really thought this through had I? The big day finally came around for the 2011 Philadelphia Marathon. The night before the race I just couldn’t sleep. It was a mixture of nerves, apprehension and excitement. I will admit that being a Runner’s World Challenge participant had its perks and the morning of the event I was sitting in the Four Seasons hotel in Philadelphia having a pep talk with the organizers which totally helped calm me down. That and the private marble bathrooms (not your typical start to a marathon). I have to say that it was a transformative experience running in my first marathon. Crossing that finish line took a huge weight off my shoulders. I had done what less than 1% of the population will ever do. I had completed a marathon. I looked up to the sky with relief. I was a marathoner. No-one can ever take that away from me. 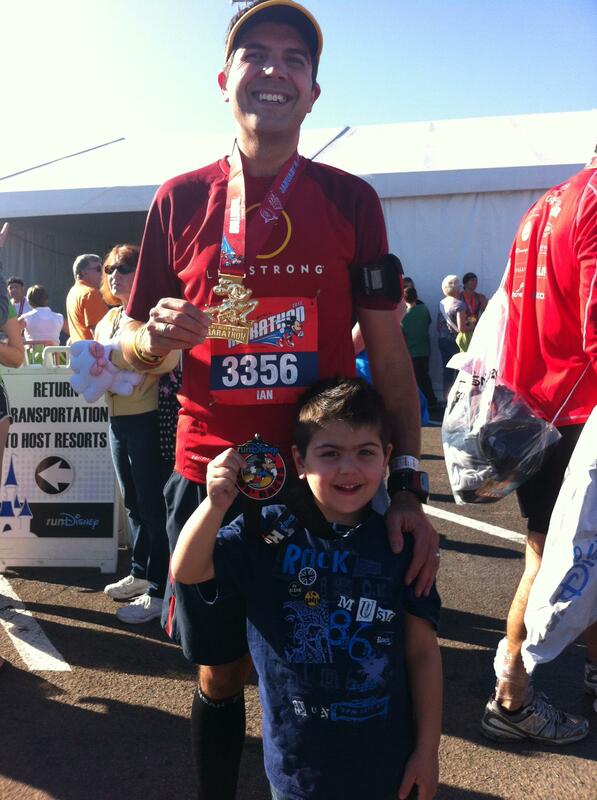 The best part of that day was my son Micah (almost 5 at the time) meeting me in the finishers chute as I got my medal. I was expecting to see him back in the hotel but this just lifted my spirits that much higher. A few weeks after that I ran my first runDisney event, the 2012 Walt Disney World Marathon. I did not know what to expect. I had confidence that I knew I had completed a marathon so I knew I could do it so that took a little pressure off but it was so soon (7 weeks) after my first marathon I didn’t know what shape I would be in. It was one of my most enjoyable race experiences. Wow, just wow. The folks at runDisney know how to put on a race. I guess I drank the Kool-Aid as I’ve been back again and again. A nice surprise was that my wife and kids received the notification that I had crossed the finish line just as they were arriving for the morning at EPCOT and rushed over to see me in the finishing area. It was great. 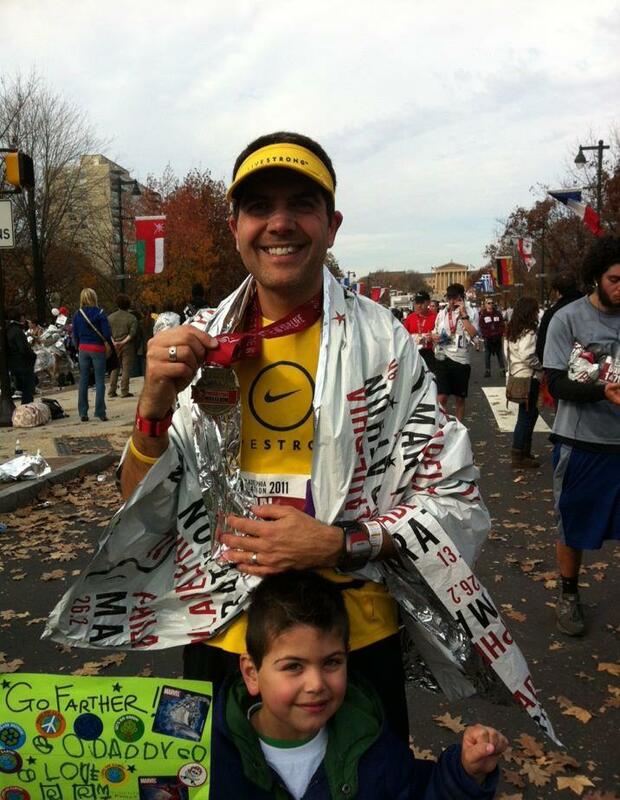 I ran the Philadelphia Marathon again in 2012 and broke 4 hours for the first time. That had been a goal of mine for the year and I was very relieved after all that training that I achieved my goal (3:59:05). I will be running the Philadelphia Marathon again this year except this time I will be running with Shari in her second marathon (her first was at the 2013 Walt Disney World Marathon where we ran together). In January 2013 I ran the Walt Disney World “Goofy’s Race and a Half Challenge” (a half marathon followed by a full marathon the next day for a total of 39.3 miles) to raise funds and awareness for the charity ‘Autism Speaks’. I raised over $3,400 for this event. I will be returning to Walt Disney World in January 2014 to complete the inaugural “Dopey Challenge” again for ‘Autism Speaks’. This is a new race for Disney this year and is a four day event comprising of a 5K, 10K, a half marathon and a full marathon for a total of 48.6 miles. I also hope to beat my fundraising from the previous year and I’m currently over half way to that goal right now. I started this blog back in January of this year to create a record of the races that I run and to keep me on track towards my goals.Sharing goals publicly makes you more accountable for them. If I can motivate a couple of people to join me on my journey that would be great. If people want to just read for enjoyment I am happy for that too. Running is part of my life now. I hope I can stay healthy to keep on going. I am blessed that my wife joins me in my exploits and we can have a lot of fun out there. Hopefully a healthy lifestyle will be embedded in my two boys. I didn’t get the message until I was 38 years old but they have so much more opportunity than me at their age. I look forward to the future with my family. Where will I be in another 3 years’ time? Who knows…? Allow me to tell you how inspiring reading this post was for me. I started running last year in the hopes of running the 2014 Disney marathon and losing weight. To read about someone who is already where you want to be makes me work even harder. Thanks. What a great story! I am running my first half marathon in November and hope to someday run a full (in Disney too)!